I spend a hellova lot of time working from home. 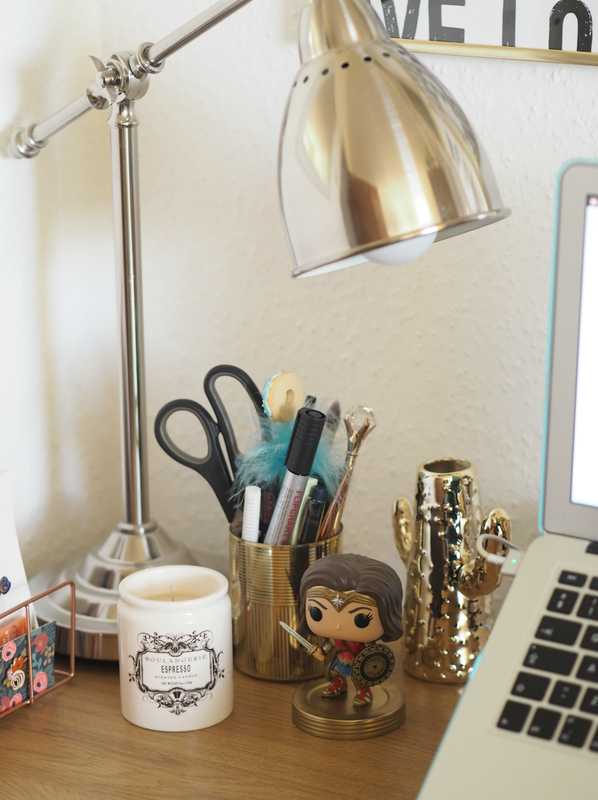 When I worked in an office the only thing I had to be concerned about was how many colourful pens were in my penpot, or how many snacks I had stashed away in my drawer, but when you start working from home suddenly your surrounding environment makes all the difference. 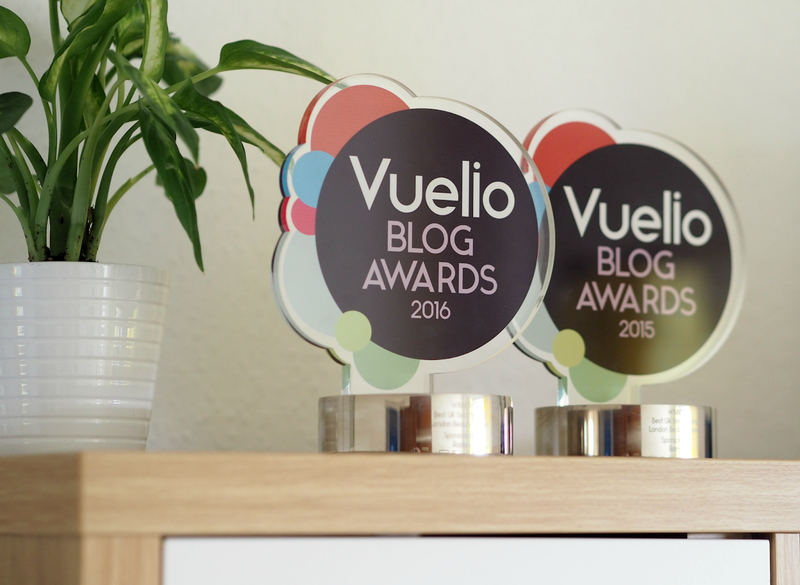 For the last (nearly) five years I’ve focused on keeping my office clean and tidy, but paid little other attention to what was going on around me; my furniture was mis-matched, there was no colour scheme to be had and often the room turned into a dumping ground for everything else I didn’t want lingering around the flat. When we moved last year everything just got put away to help create some level of order as soon as possible, so I spent little to no time actually organising my working environment into what I wanted it to be; skipping forward a few months and it started to become a place I was actively avoiding spending time in. Full of samples, photo props, books and stuff that didn’t really have another place, the cluttered space was also cluttering my mind. The mess on the shelves (and the floor, and my desk!) was also causing a mess within me – I really struggled to focus and be productive without spending the afternoon working in a local coffee shop. After an intense couple of weeks (thanks tax return) and spending my time actively working everywhere but my office, I made the decision to totally overhaul my working environment and make it a place I’d look forward to being every day. Rather than just ‘putting up’ with what was there, or trying to rearrange it, I went on a mission to buy complete new furniture and properly accessorise so it was a room I’d be proud to have on display. 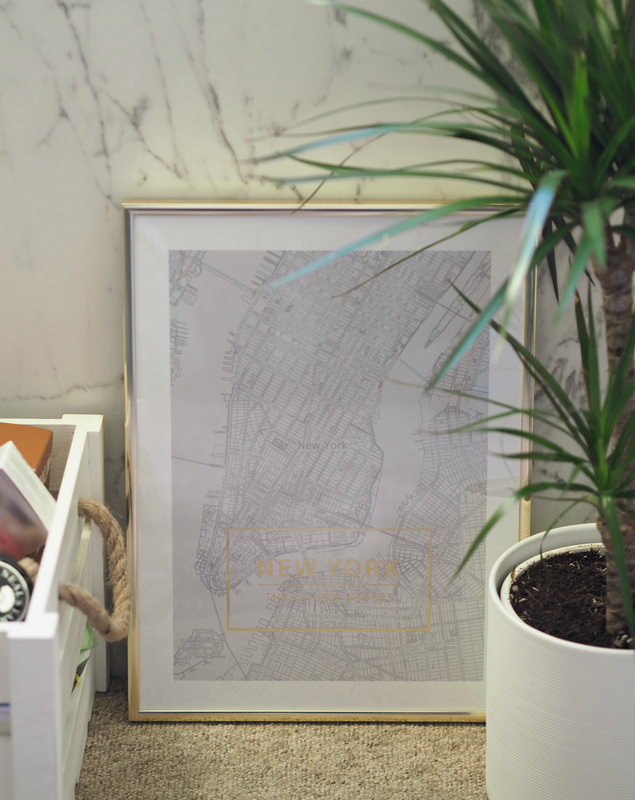 There’s nothing worse than having every single thing you own on display; it looks cluttered and it overpowers the nice things you want to focus on. 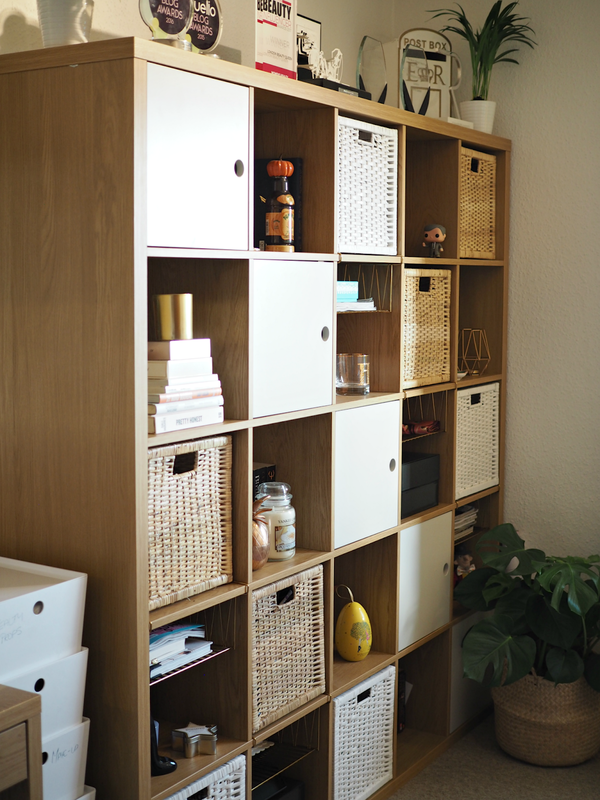 I decided I wanted to completely reorganise my shelves and hide the majority of things away, so this IKEA ‘Kallax’ shelving unit (£150.00) was just up my street. 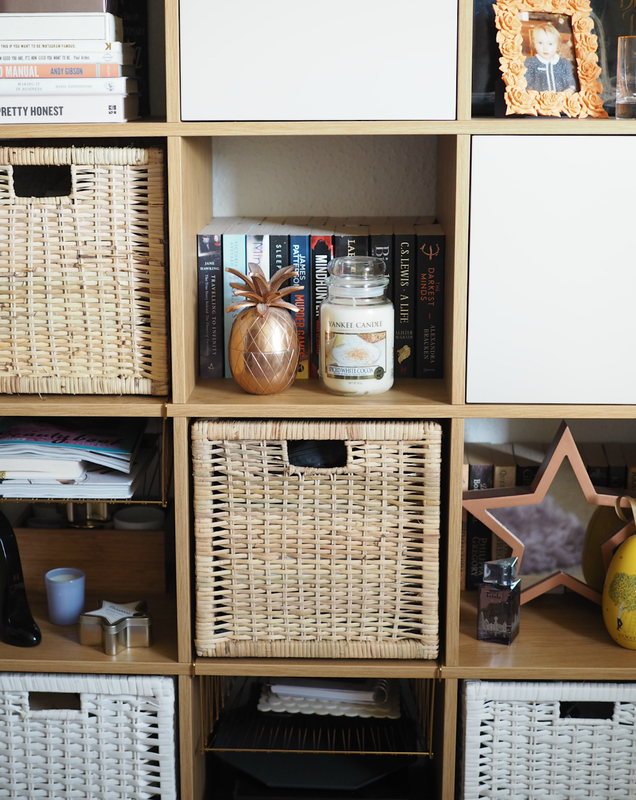 Not only is it fully customiseable, but thanks to baskets and doors you can hide away all that clutter and keep the feel of the room clean and fresh. (My husband made the doors for me, but you can buy something very similar for £13.00.) It’s given me so much more space, plus I can store away all those bits and pieces that were giving me anxiety while looking at them every day. It’s a well researched fact that greenery within your working environment can reduce stress, increase productivity and leave an overall feeling of wellbeing. They can also boost creativity and keep you feeling more awake (because they help clean the air,) so a trip to the local garden centre was top of my list once my furniture was in. 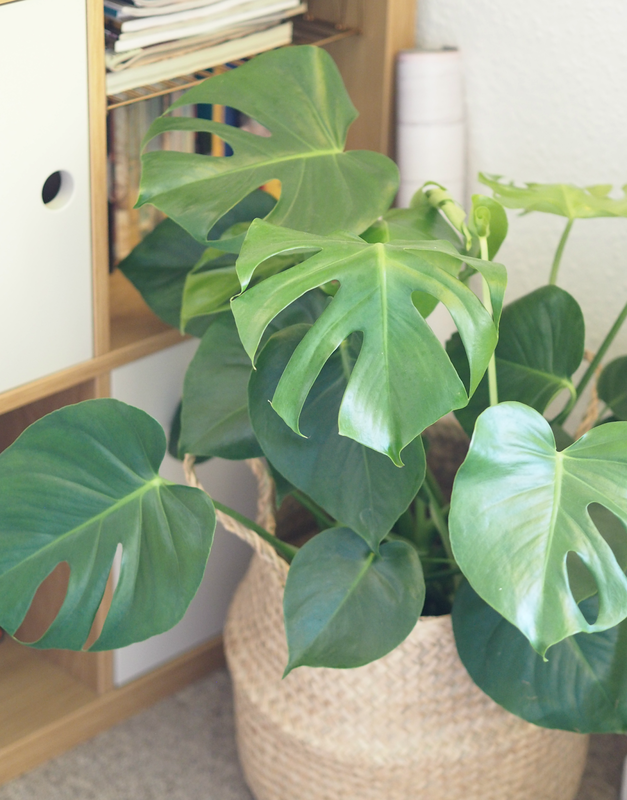 I love plants and have them all over my flat, but for some reason they’d never made the transition into my office; since I’ve had a few plants in the room with me I’ve definitely noticed I feel calmer and that the room is a welcoming energizing place to be. You may be forgiven for thinking I must’ve been having a moment to give up my solid oak and extremely expensive (albeit second hand) desk for a sixty-quid one I found in IKEA, but that’s what I did. My old desk was beautiful, but it was so space inefficient and clunky that it took up far too much room and led to me putting all kinds of tat over its surface. 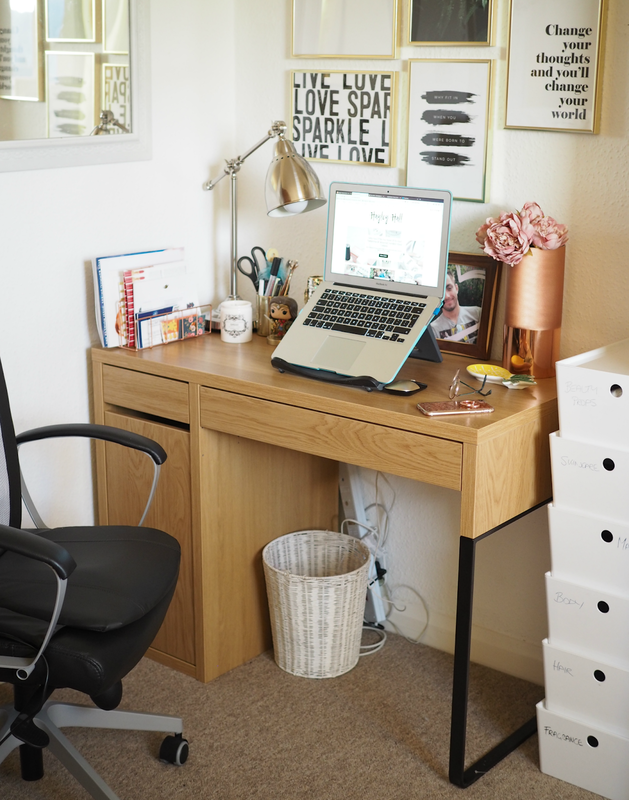 I wanted something smaller, sleeker and better at storing away bits and pieces, so this simple desk was just the ticket; it’s got a couple of decent sized drawers and a little cupboard to store away notebooks and camera equipment, plus takes up half the amount of space without feeling squished in. 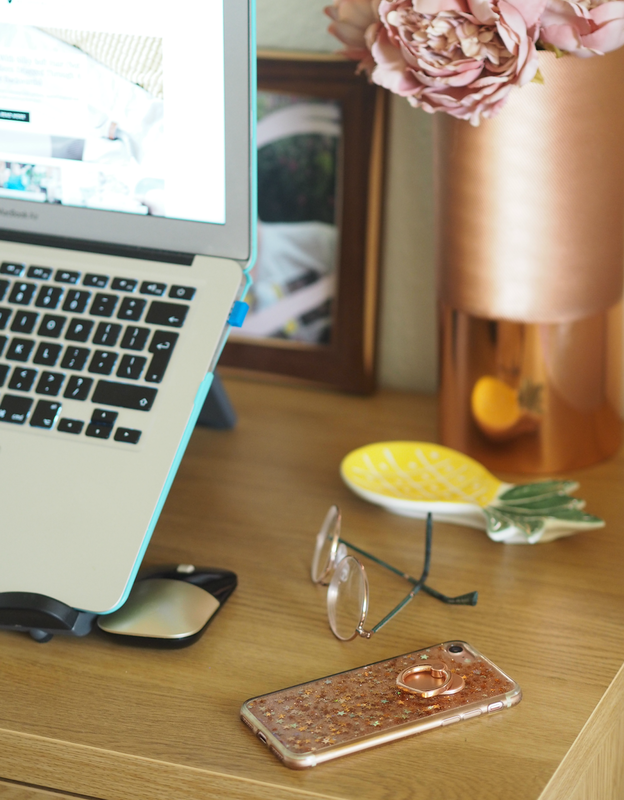 It’s all I need, plus I treated myself to a new office chair to help get my posture back on track – because you can’t underestimate the power of a great chair. 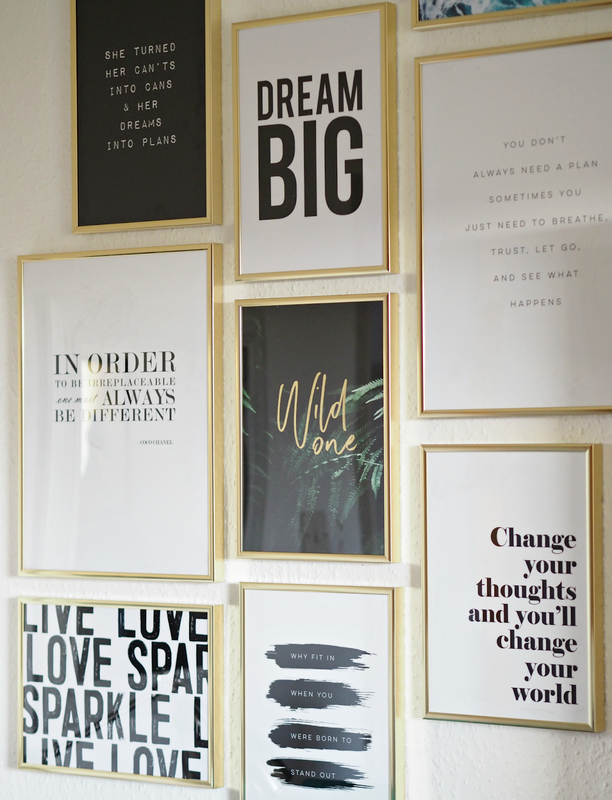 I’ve really gotten into great prints in the last couple of years, and have many a quirky design or inspirational quote on our walls. 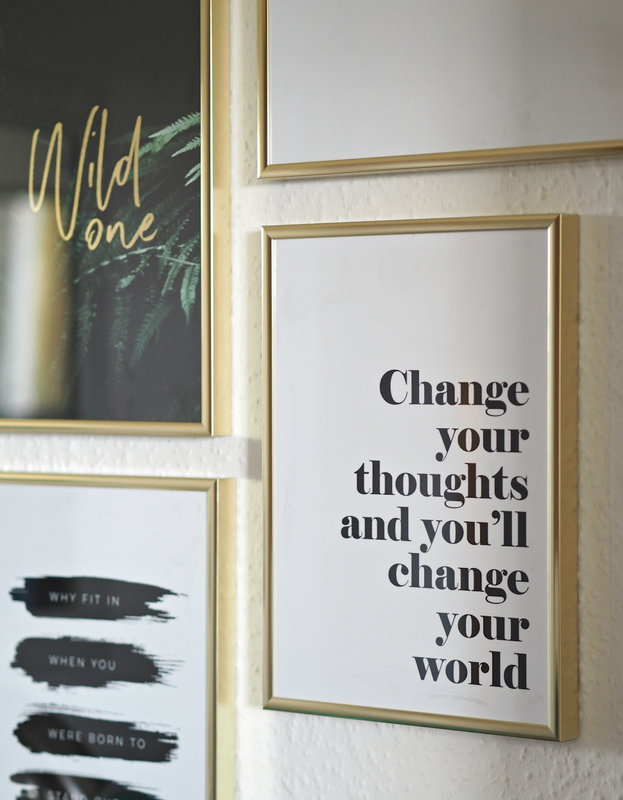 I’d always had a mixture of pictures, portraits and gifted artwork hung above my desk, but I really wanted something more in keeping with the aesthetic I was after as an alternative – inspirational quotes and modern prints seemed to fit the bill, and I spent hours looking online to find the perfect ones. 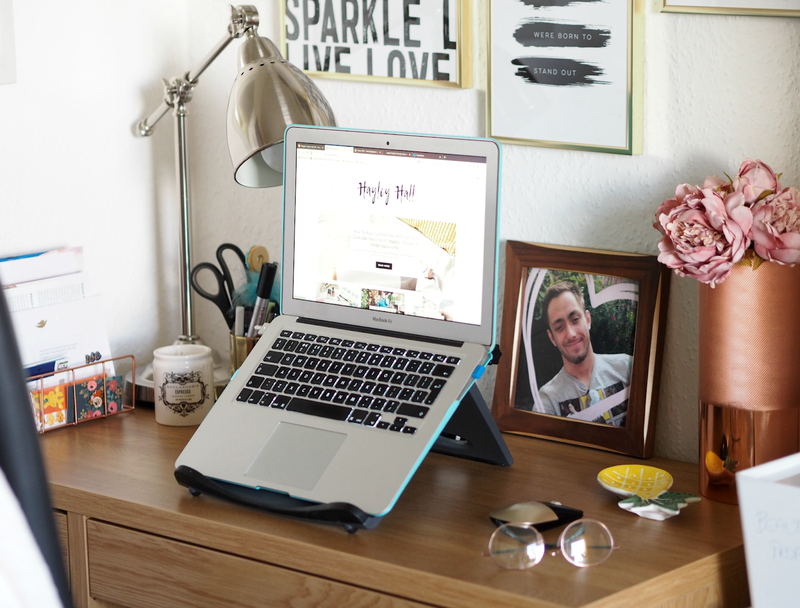 I love the fact I can mix and match, updating them probably once a year to keep everything looking and feeling fresh. Oh how I love listening to some tunes as I work. Although I’d love to listen to podcasts, I get too enthralled and find them too distracting, so a good radio is what I need to keep me focused and energized. 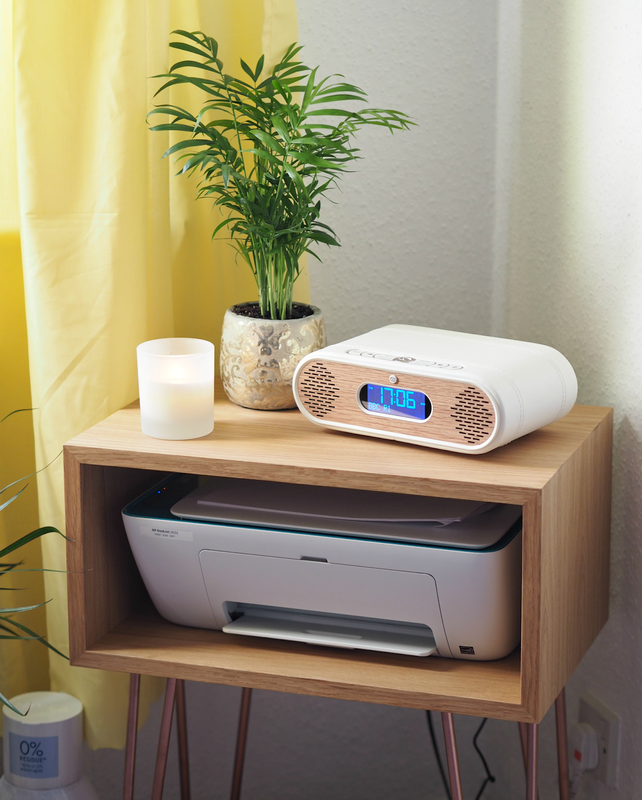 I’m a huge fan of the VQ digital radios and have one in my kitchen already, but this little number was exactly what I was after for my office. 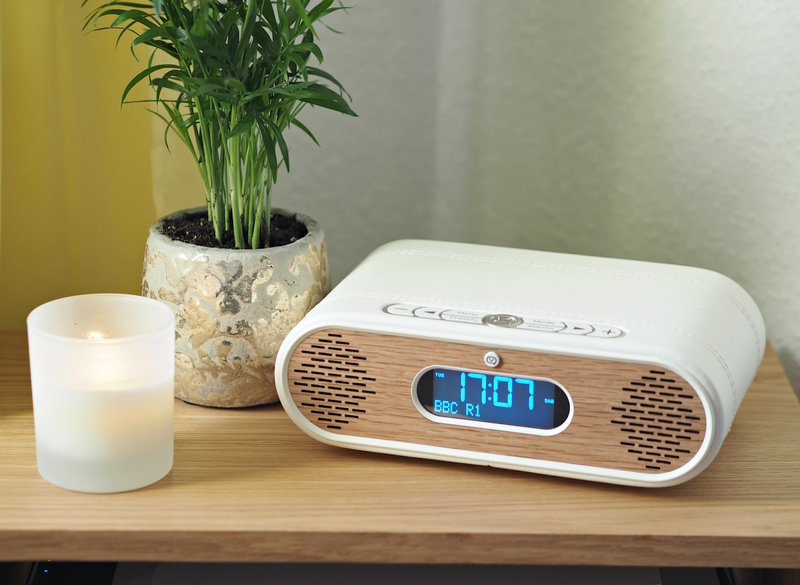 Although it’s technically a bedside alarm clock, I loved the look of it and it doesn’t need to be any bigger for my relatively small space. Obsessed. 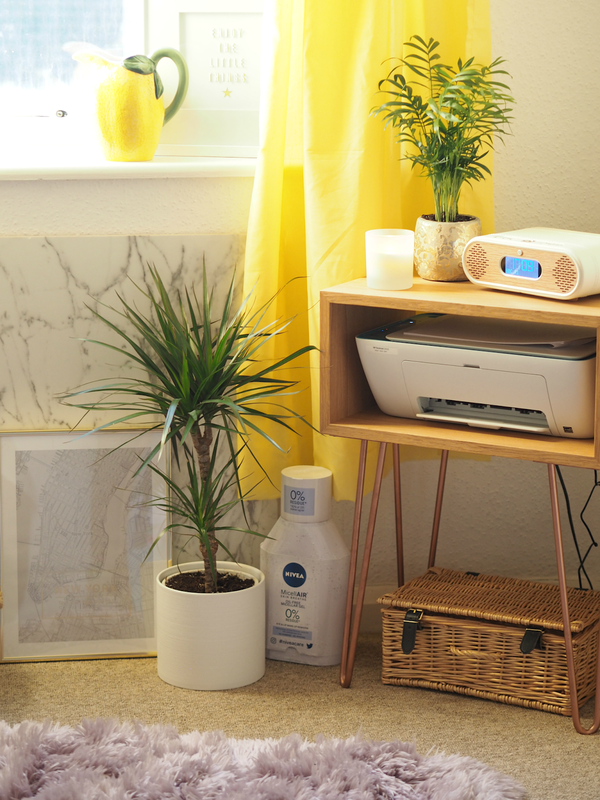 It sits perfectly on a little side table my husband made me to keep my printer accessible but away from my desk; the little corner feature is just what I had in mind, plus those copper legs are dreamy. To finish everything off I spent a few weeks popping into everywhere from Dunelm and Home Bargains, to Anthropologie and Oliver Bonas, with a couple of trips to the market and Primark thrown in for good measure. 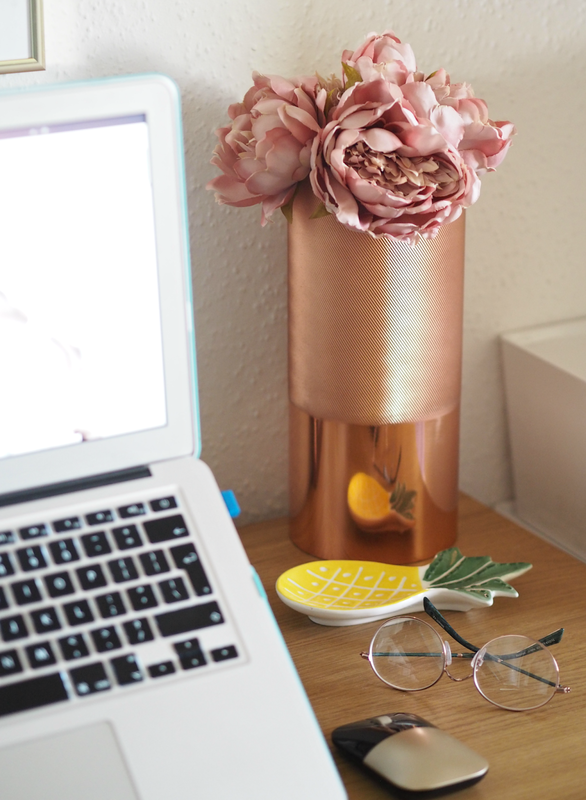 It’s wise to think outside the box and re-purpose pots and vases into statement pieces, storage baskets and general decoration – I picked up a toothbrush holder from Zara to be used as a pen pot, and a jewellery holder to use as a plant pot. As long as everything is from the same colour spectrum or in the same style, it’ll all look fab together. The finishing touch was a pink fluffy rug to add some comforting texture (and help cover up the god awful carpet.) My office was complete! 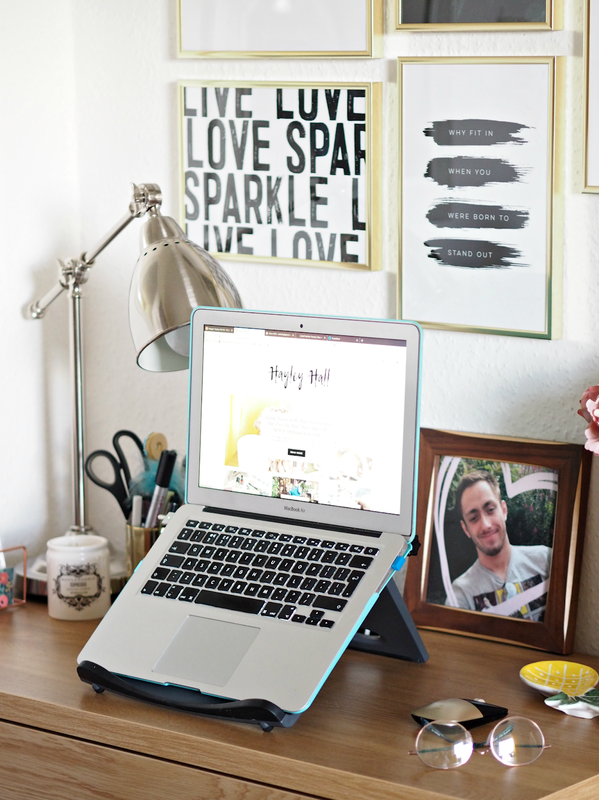 I hope you like it as much as me, and that it’s given you some inspo if you’re wanting to reinvigorate your own work space. 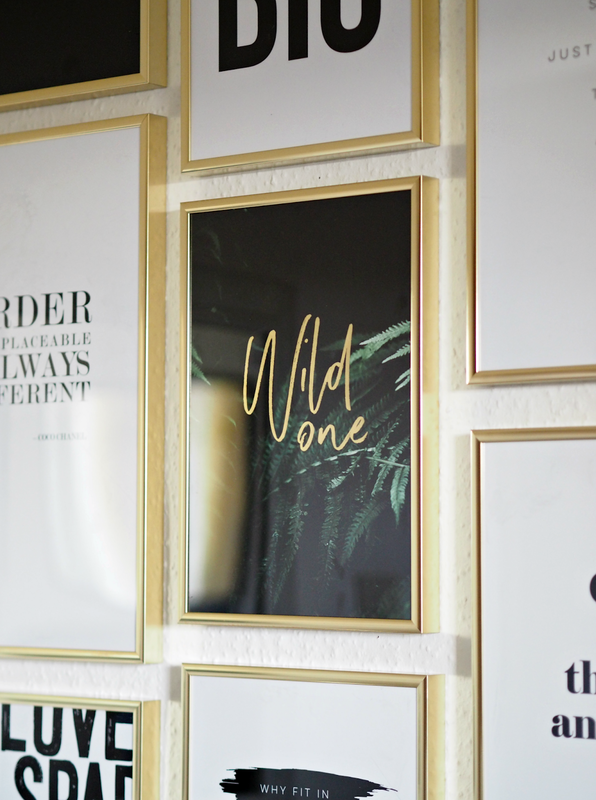 Although there are far too many things to list individually, I’ve linked to some of the main pieces below – as well as picking out some fab bits I’m crushing on. Enjoy! Side Table With Copper Legs – made by the fair hands of my husband! Thanks Jasmine! And it's nice to have a separate place to work at home; being able to close the door is a great thing. Very nice makeover and budget-friendly too. Bonus! 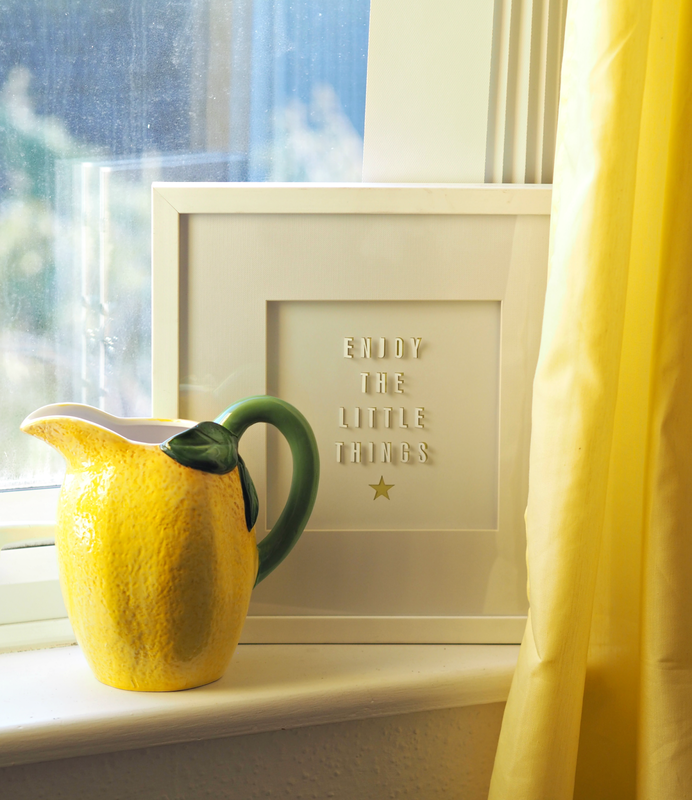 I love the lemon water jug and anything pineapple works for me. 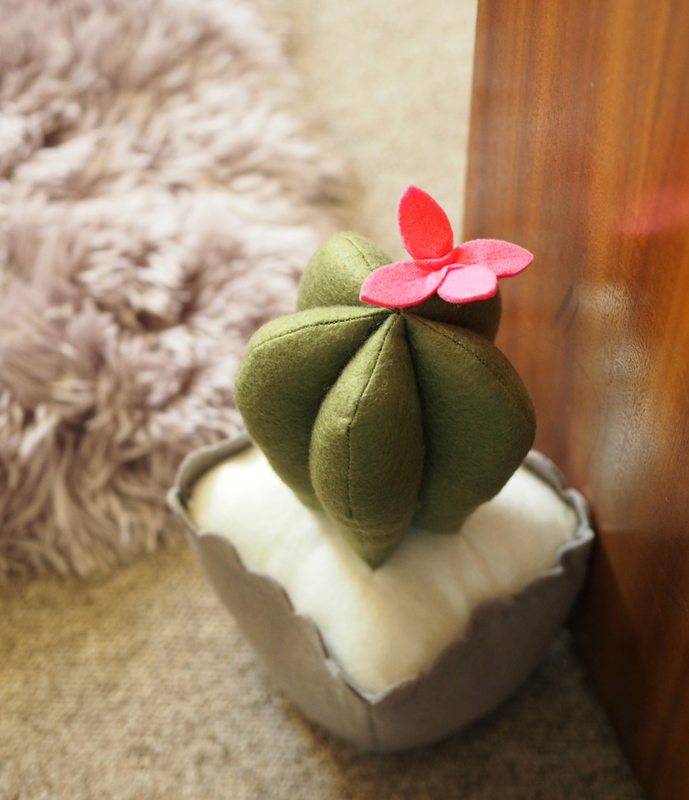 It's such a cute statement piece isn't it! And I don't love spending a fortune on home things, unless it's a sofa – it's good to be able to change it up. It looks great! I really like how real you've photographed it. No pointless scatterings of pens artfully arranged on pads for no real reason. That artful clutter drives me mad! Awww that's so kind of you to say! 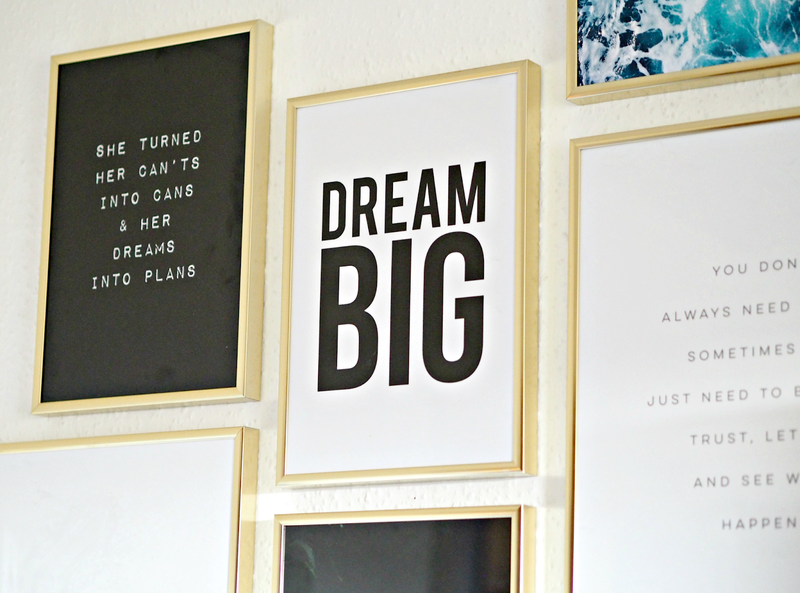 I love all the inspiring quotes you have up. I wish I had room behind my computer screen for anything like that, but there's just a window. My room is too tiny! Beautiful photos as always.